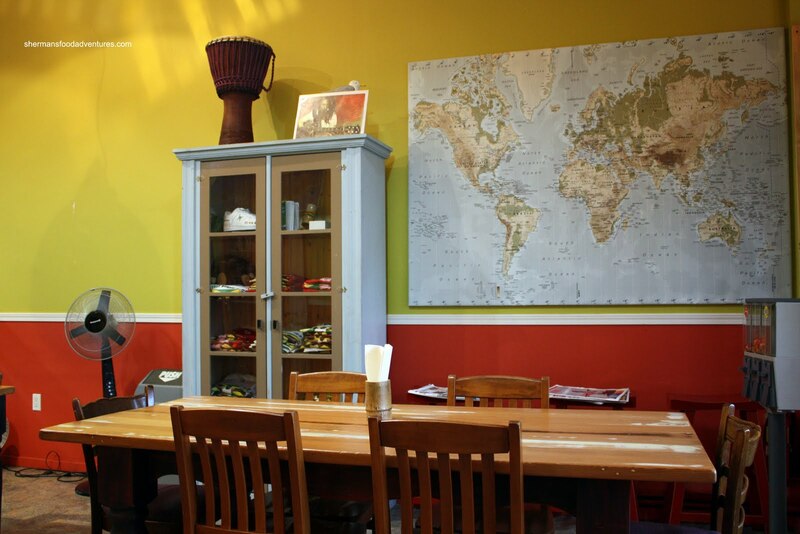 We are over 5300 kilometers geographically from the Caribbean. That doesn't bode well for Caribbean cuisine here in Vancouver. 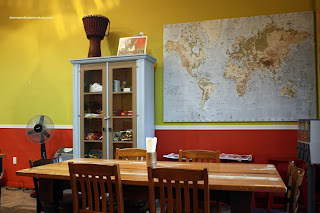 It will not take very long to visit each and every Caribbean restaurant in the GVRD. For me, I enjoy different cuisines, particularly the ones that are least represented. That's what prompted me to find Calypso in Surrey and the reason we ventured into North Vancouver. 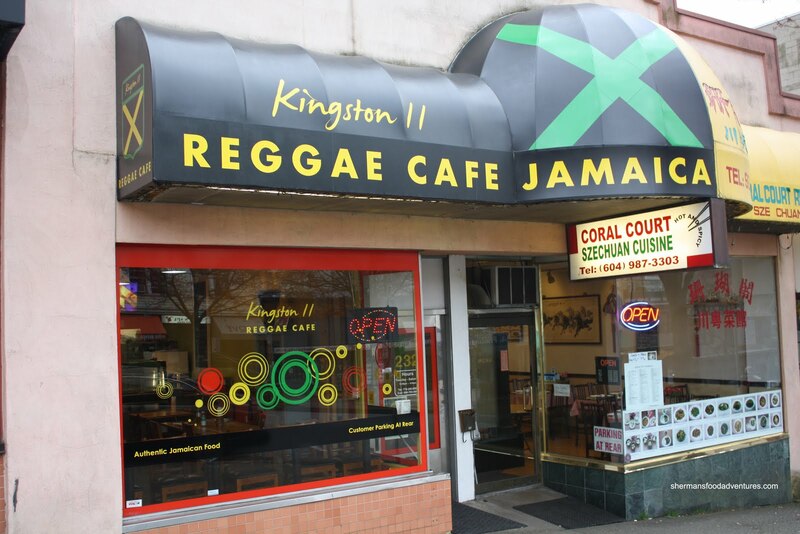 Located on lower Lonsdale, Kingston 11 serves up authentic Jamaican cuisine. Their menu is always in constant flux since they only use what ingredients are available at the time. For me, I was hoping they had oxtail and apparently, if you show up too late, they might run out and that's it. Luckily for me, there was Stewed Oxtail and normally all dishes come with rice and salad. For some reason, there was no salad today. Didn't bother me, I'm all about the meat anyways, who cares about the greens?!?! I went for the large order which goes for $12.00. Not a bad deal since oxtail is not exactly cheap. Laced with peppers, tomatoes, carrots, onions and spices (which I really couldn't figure out), the stew was actually decently spicy. Not burning hot; but there was a nice underlying heat. The fall -off-the-bone meat was perfect being slightly gelatinous. Viv wasn't too hungry and ended up with the small Stewed Chicken for $9.00. Predictably, the chicken was a bit dry; yet it was still quite moist. It exhibited the same underlying spiciness as the oxtail. It was slightly sweet with a hint of cloves. Again, this went well with the rice. Where we were sitting was not the best conditions for taking pictures. So I did what I've done in the past and got up with my plate, walked over to the window and took a picture. This obviously caught the attention of the one staff member there and he asked if we were from out-of-town. I said yes, from Burnaby. LOL... I just told him I like Jamaican food and have a keen interest. I made a comment about Calypso in Surrey and he exclaimed that they supplied their meat patties. Nothing ground-breaking here; but the food was solid and to me, a good value. Usually, Jamaican food in Vancouver is not cheap. At $9.00 for a small and $12.00 for a large, I find it one of the better values in town. 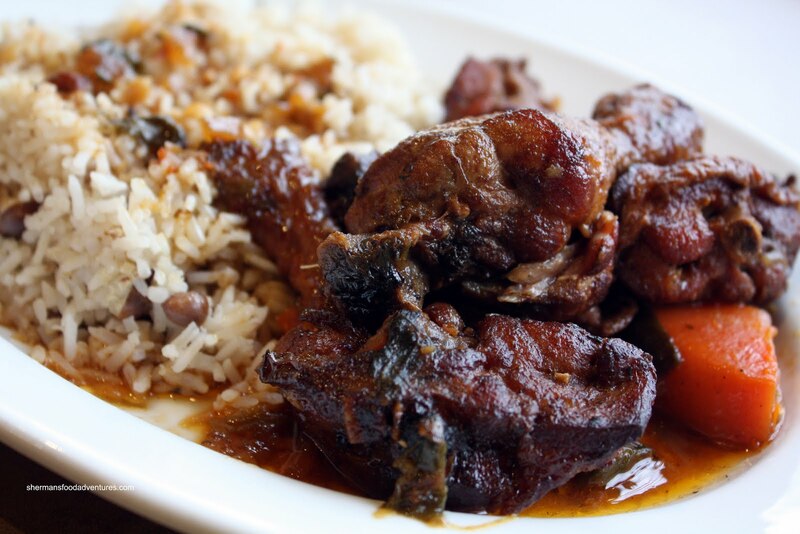 Furthermore, with meats such as oxtail and goat available, it is even a better value since the material costs are high. About the out of town part, that was epic! hahahaha! However, I do not think the sitting there for a while "con" really apply. 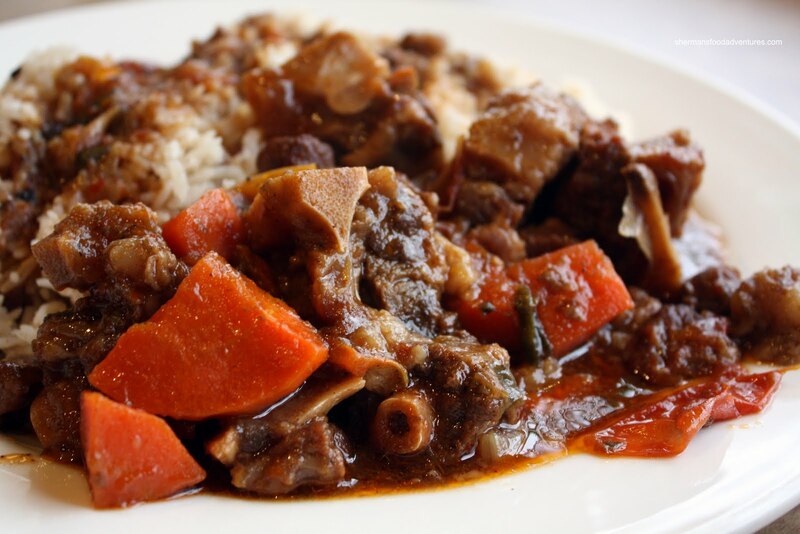 After all, stews is one of those dishes that gets better over time. I think I will have to start crossing a couple more bridges to visit some of these places. In fact, this weekend, I was planning to go to West Van for some burgers (and you KNOW what place I am referring to!). hey, this place is just up the street from my mother's place. i was going to take her here for lunch but read some bad reviews on dinehere.ca. that site is hit and miss though... we'll give it a shot next time i see her. Yah, once again... The food is better in . No sh*t Sherlock! Tell me something I don't know. But c'mon, how many people can say they've been to even 30% of the places in the world? So we need to settle on food that is local and take the best from that. I digress. Yah, you're right about the stew being more flavourful over time. However, other than some of the "tough" meats that do better with more stewing, something like Chicken becomes a stringy mess after awhile. Hey Trisha, yah, I can't see why it's hit and miss though. The food is pretty spicy and sitting in warming trays. So the food experience could be subject to when you eat there. For some of the meats, it's okay. But for me, chicken sitting in a warming tray can only get worse over time.